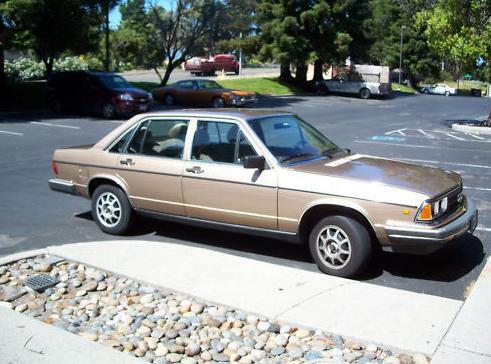 1982 Audi 5000 - This is not a car you often see in this type of condition. This Audi has just 85,000 miles on it and is the cleanest one I've seen in a long time. A 2WD Audi 5000 is not the most exciting Audi you can buy, but its simplicity makes it a great choice for use as "daily classic". Located in Sunnyvale, CA, click here to see the eBay listing. Maserati Ghibli II - This is a essentially a Biturbo that spent a lot of time at the gym. The 2.8 liter engine brings the car to 60 MPH in a little over 5.5 seconds. A UK Maserati brochure described the body as, "bold but at the same time soft such as to anticipate the car's sporting intent even from rest. The curvilinear movement of the wings visibly interprets all the "muscle" to be found beneath the engine cover. The form is a happy marriage of style and aerodynamics. The low front is rounded and slops upwards to the windscreen were a splitter directs the air over the vehicle. The markedly wedged flank is characterized by the imposing rear which interprets the considerable power that is being transmitted to the rear axle." A lot of words just to say it looks great. This car is being listed as a 1980 model year (wink-wink). A big thanks to JaCG reader, Blair, for sending me the link to this car! 1989 Laforza - "OK ---We will do this your way. We have had offers at our fixed listing price of $15,995--but not quite close enough to get it sold. Let's try this no reserve and see what happens!" That's the first line of the eBay listing for this Laforza. I think what will happen is this truck will sell for a lot less than $15,995. I love Laforzas, but it was a truck that was too-much-too-soon and then too-little-too-late. Most people were not yet used to spending big bucks for an SUV when the Laforza was first introduced to the late 1980s When the brand was relaunched in the late 1990s, most luxury car manufacturers were selling their own luxury SUV. Laforza, with just a minuscule dealer network, didn't stand a chance. There is a myth that Laforza was somehow connected to Ferrari. It was not. A few years ago I was seriously looking for a Laforza (which are not easy to find here on the east coast). The few nice ones I saw were, in my opinion, very over-priced. (Which might be due in part to the Ferrari myth.) This appears to be a very nice Laforza. It has a number of desirable upgrades. Being offered with no reserve, it will be a good test of what Laforzas are really worth these days. Located in Rolling Meadows, IL, click here to see the eBay listing. Yeah, it wasn't until I stumbled upon that Maserati that I had even heard of that particular model. 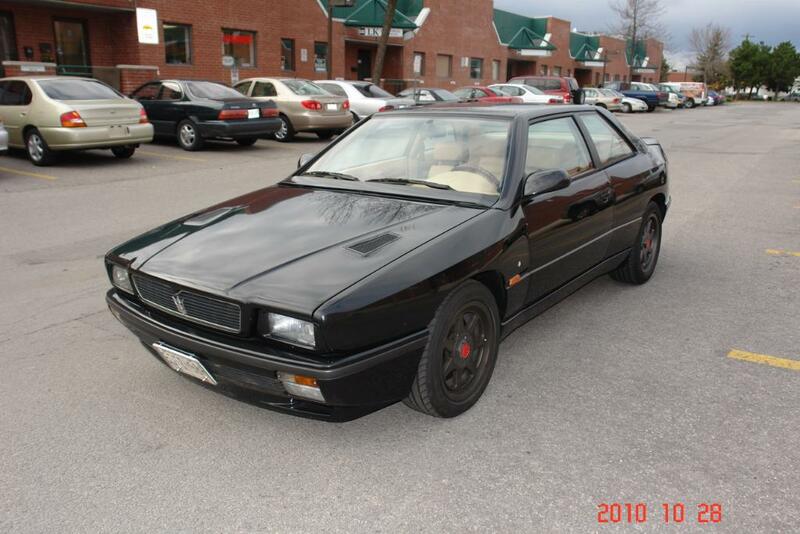 It looks really nice to me, though, and if I had the money (and the ability to convince the right people that the car isn't a model from the 90's) I'd love to own it. Anyway, I appreciate that it was featured today.